Younis’ all-time XI did not feature any Englishman or South African and had only three Asians overall. 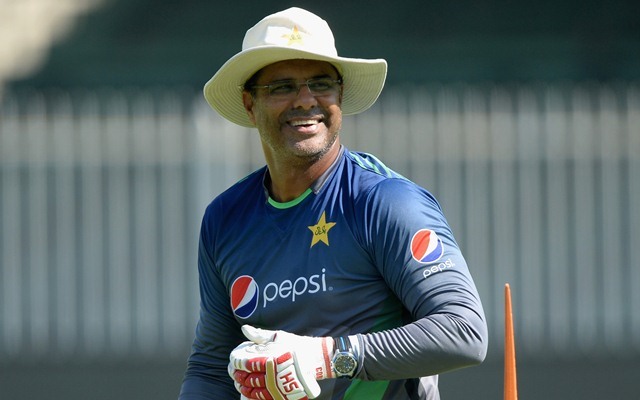 Former Pakistani fast bowler Waqar Younis, who also served as his team’s captain for a while, has picked his all-time XI and despite being a player from Asia, he has picked a lot of Australians. As the captain of his side, the 46-year-old picked none other than his compatriot and mentor Imran Khan, the current prime minister of Pakistan. Younis’ all-time playing XI, which was shown on Lord’s Youtube channel, starts with the legendary Sir Donald Bradman and another dashing Australian opener of modern cricket Matthew Hayden. At No.3, the former pacer picked West Indian great Brian Lara who enthralled the cricketing world with his batting, especially in the longer formats, during his playing days. Sachin Tendulkar, the highest run-getter in international cricket who Younis reveres, comes in at No.4 and is the only Indian batsman to feature in his eleven. Younis and Tendulkar had made their international debut in the same Test in Karachi in November 1989. Younis then picked two of the West Indies’ most famous players – Sir Vivian Richards and Sir Garry Sobers – for the fifth and sixth slots. Both were known for their profound impact on the game and also wicket-taking abilities. For any ODI side, these are indispensable qualities. Sobers played only one ODI in his illustrious career and could have set several records had he belonged to an era which was dominated by the limited-overs variant. Younis had no other preference but former Australian wicketkeeper Adam Gilchrist for the No.7 position. The Aussie has been one of the most prolific stars of the game in modern times and there was no surprise in his choice. He went for a strong tail as he picked Imran at No.8, Wasim Akram – his one-time opening partner for Pakistan at No.9, followed by legendary Australian bowling duo Shane Warne and Glenn McGrath filling up the final two slots. The all-time XI did not feature any Englishman or South African and had only three Asians overall.